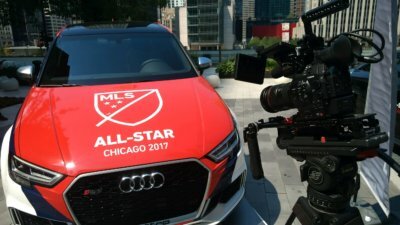 Chicago Camera Crew gets to check out Audi and Target’s events sponsoring MLS. 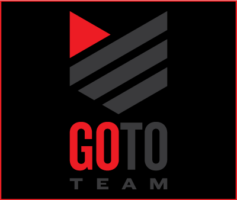 It’s nothing new to hear that soccer is the most popular sport in the world with an estimated 3.5 billion fans and plans to expand from 22 teams to 28 and it’s expecting to continue to grow in popularity in America. With such a large fanbase it’s easy to see why businesses are eager to sponsor Major League Soccer events. The MLS All Stars match in Chicago had 20 major sponsors with several activation events taking place over four days leading up to the big game. We were there to show sponsors how partnering with MLS can expose and share their brand with soccer fans everywhere. We covered several sponsored events downtown, gathering B-roll and crowd and fan reactions. The first day of shooting was filled with cool cars at two events sponsored by Audi. Audi had three of their R8’s on display in custom MLS paint jobs. Two of the R8’s were in Chicago’s Daily Plaza and one was in front of the Hyatt Regency, MLS HQ for the week, where people could sign up to test drive a new car. Both locations drew quite a crowd with people lining up to take pictures with the Audis. The second day was all about Target and the events they were hosting. Target was the main sponsor of the game so they went all out by throwing a day-long festival in the courtyard in front of the Chicago Tribune building. They set up small soccer fields with promotional games, food trucks, DJs and t-shirt making stations. Shooting B-roll of all of that was a breeze. 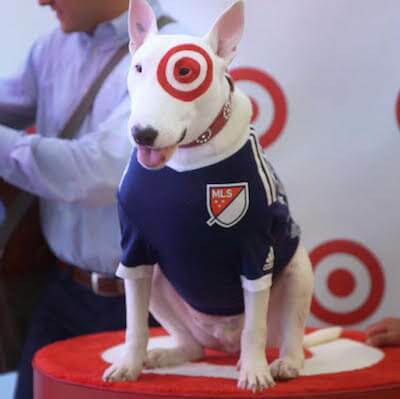 There was also a guest appearance by two soccer players and Bullseye the Target dog. The line for pictures was insane. As night crept up on us the Tribune Tower lit up into a spectacular light show. This shoot was a “ball!” As a former soccer player myself, I look forward to working on more and more shoots with MLS.